Automate your business processes & communication with online invoicing, recurring billing, client / vendor panels, time tracking, workflows & more. Invoicera comes with a range of features to manage a business effectively and efficiently. Faster invoicing and payments process. Reduced invoice errors and disputes. Manage all your buyers and vendors from a single dashboard.Ensure all the invoices and payments are exchanged in a timely manner. Detailed financial reports for better financial management. Detailed invoice aging and outstanding reports to effectively manage business debtors. Invoice management of multiple companies under one umbrella. Take control of payments and financials of all companies with ease. The free invoicing integrated with 25+ global payment gateways. Received payments from clients, from across the globe. Simple one click, secure payment options. Integrate with existing ERP and CRM solutions. Bespoke invoicing solutions for your specific business requirements. No need to create periodic invoices again. Set up recurring profiles and relax. Track time spent on tasks in real time. Manage and improve team productivity. Bill accurately for the services provided. Get customized business invoicing solutions. A smooth invoicing workflow for reduced invoice exceptions and disputes. Bill to clients from across the globe with multi-currency and multi-lingual support. Get your invoicing customized according to your language preference. Record and control business expenses with ease. Add expenses to invoices wherever required. Manage expense approvals. Create staff members and assign tasks to them. Manage staff permissions and control staff activity. Simplified staff timesheet and task management. We have an ever-growing user-base of satisfied customers. We are the best solution provider for enterprise and customized invoicing solutions. We are one of the most preferred tools for online invoicing, globally. The invoicing system caters to a complete range of enterprise business verticals. The invoicing online provides cost-effective utility billing solutions with a variety of third-party integrations. The solutions cover all kinds of utilities like water and electricity. The telecom business works in a dynamic and a fast paced business environment. Flexible billing solutions to cater to a variety of customer requirements. Simplified & customized solutions for airlines - airport operation, cargo, concessions as well as all kinds of logistics & transportation businesses. Setup auto-bills & receive premiums online. Get customized billing software solutions for Insurance and banking business requirements. Restaurant billing and expense management. Manage staff and vendors with ease. Manage inventory and expenses accurately. Customized billing solutions for tour operators and travel companies. Integrate Invoicera with your CRM system and improve business revenue. Simplified bulk invoicing for manufacturing business. Automated invoicing for quicker quote-to-cash cycle. Get quick estimate approvals and send error-free invoices. Track the billing time and bill accurately to clients. Multiple line description for detailed and precise task description. Track time, manage expenses and get custom solutions better suited to your consulting and IT businesses. Maintain a healthy workflow and cash-flow with Invoicera. Create recurring bills and branded templates for higher client retention. Professional invoicing for growing your freelance business. Late fee to enable quicker payments. Track time and easily bill for the hours worked. Manage your invoices, estimates and projects on the go. Schedule invoices and send them on time, to get paid quicker. Manage your remote workforce with ease. Bill your client for a specific task or the whole project. Approve or reject expenses with ease. Focus on your real estate business with simplified invoicing. Send estimates and invoices using a simplified platform. Online invoicing and estimate management for trading business. Send invoices on time and attach important documents. Use payment reminders to save time and resources. An Online Invoicing System suits best for your Small Business & Enterprises. Invoicera helps our tours and travel company in a great way. This software helped me in tracking billable hours effectively. I would highly recommend Invoicera to grow business with valuable features like multilingual- multicurrency support. I also appreciate the response of the Invoicera support team- well impressed. Finding Invoicera as an invoicing software was a great breakthrough for us, a must have software for SME's. The software helps controls staff activity in simplified form, a useful for many travel agents. Also no need to worry about the currency and language suitable for the client. It supports the variety of global payment from clients across the globe. No language barrier, definite response time, access anytime anywhere. 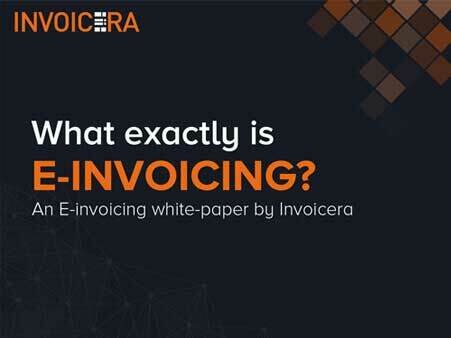 Choosing Invoicera has many benefits that match all my invoicing and billing needs. Invoicera helped me to fill the wide gap with highly simplified approach to customization as per the business requirements. Hence reducing the complexity for clients. Rely on Real Time Online Invoicing Solution now! Do you want to cut invoicing & billing costs and get rid of expensive manual invoicing processes? Are you struggling to reduce your invoicing costs or improve your overheads with slow collections of account receivables? Switching to online invoicing software brings a countless number of benefits to make your business grow. A good online billing software eliminates barriers and complexities of payment and help you to get paid faster. The benefits don't stop there. 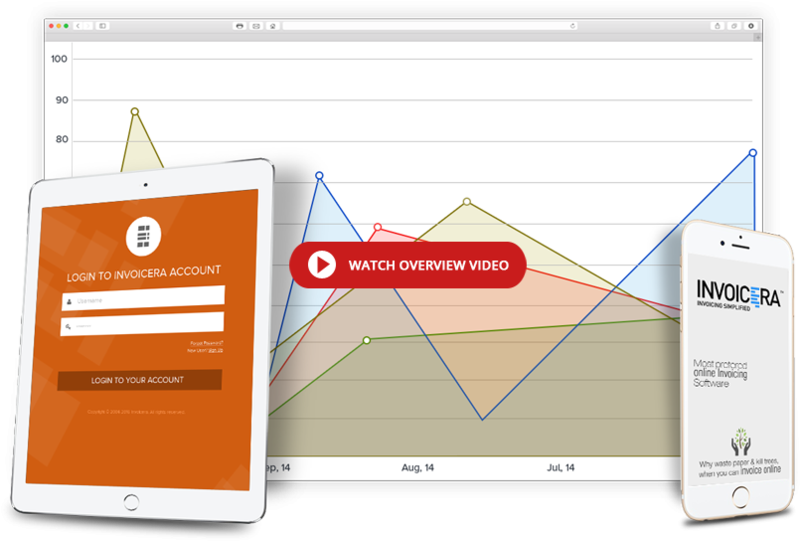 The online billing software brings cash flow to life with real-time financial analysis available in the cloud. 4.9 out of 5.0 by 52356 clients for Online Invoicing and Billing Software.